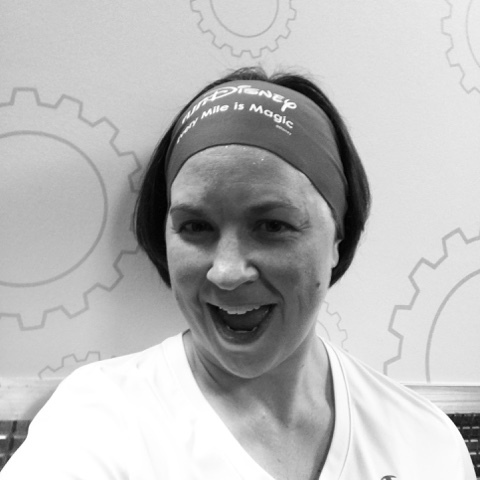 Running on Pixie Dust: A Fitness Challenge that's No Joke! A Fitness Challenge that's No Joke! Today is traditionally a day for pranks and jokes, but today I'm beginning a challenge that's no laughing matter. Since getting my Apple Watch as a Christmas present, I've enjoyed watching my fitness stats each day. Pretty consistently I'm able to meet my calorie goal and I ALWAYS meet my stand goal, but the 30 minute move goal is a tough one for me to meet every day. With as busy as life gets, finding time to exercise can be difficult. So in April, I'm challenging myself to meet my 30 minute exercise goal every day. The timing is right for this as my training is in full swing for the Frederick Half-Marathon at the beginning of May. I'm running 3-4 days per week and trying to cross-train 1-2 days. Even on my rest days I can still get my 30 minutes of exercise in by playing at the park with my boys or going on family walks. So that's that! A month long fitness challenge that you can follow along with here on the blog. My plan is to post each week with an update on my progress. I'd love to have some of you join me on my journey - who's in? ?